Yesterday was the one-day Cinema of the Future conference organised by the CEA in London. One of the key talks was a panel with amongst others UK advertising major DCM’s CEO Simon Rees, who argued for need for a new relationship between exhibitors and their audiences. Speaking at the inaugural Cinema of the Future conference in London, Rees cautioned delegates that while the big screen experience remains robust, exhibitors need to address the way they interact with audiences in order to ensure continued growth in the sector, which is experiencing significant challenges in 2014. “Cinema is going through a phase of resetting itself,” said the executive during a panel on the digital landscape. “It’s learning pretty quickly that it needs to reset itself in the eyes of its customers. Just how honest are cinema goers? The only independent cinema in Newcastle is hoping they are after they discovered that their online system had not charged customers buying tickets on their website for two months. 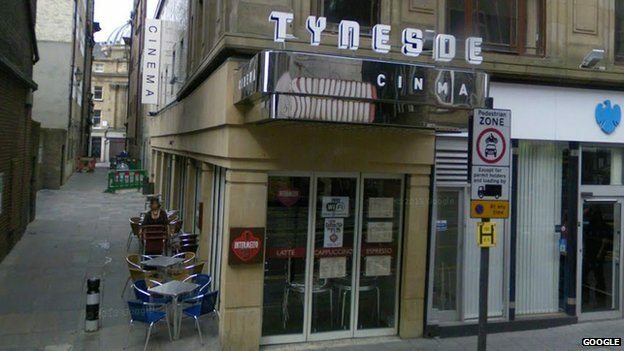 A cinema in Newcastle has appealed for people who recently bought tickets online to pay for them. Technical problems with the e-ticketing system used by Tyneside Cinema meant some tickets were issued without payment being taken. It came to light when customers got in touch saying their card statements had shown no record of a charge. Here is the message from the cinema’s own website. Due to a technical problem some of the tickets that were purchased via our website have been issued to customers, but payment for them hasn’t been taken from customers’ bank accounts. This online booking problem is now fixed. However, if you have bought Tyneside Cinema tickets via our website during September and October, we would ask that you please check your credit or debit card statements as they arrive to confirm whether your payment was made. If you find that your tickets haven’t been paid for, please contact us to pay for your tickets. 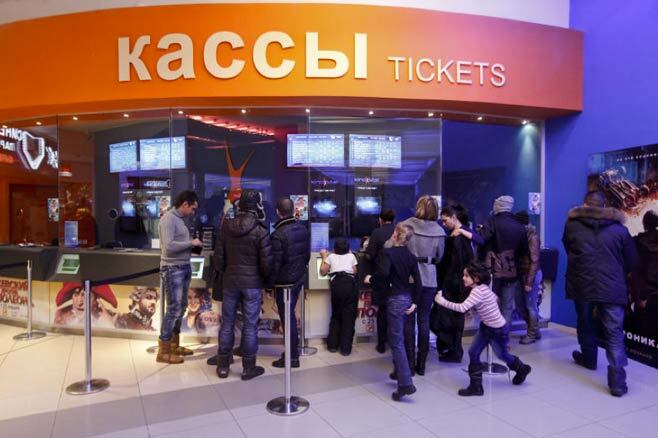 Russia – The Russian Duma (parliament) has voted down a proposal to impose a quota in the import of Hollywood films. The MPAA is, perhaps not surprisingly, happy about this. The Motion Picture Assn. of America, which represents the interests of the Hollywood studios, has welcomed President Vladimir Putin’s opposition to the introduction of movie quotas as Russia lawmakers shelved a plan to bring in the measure Thursday. Members of Russia’s lower house of parliament, the Duma, had been due to debate a bill that would have imposed a 50% limit on foreign films, but lawmakers have decided to park the proposal. 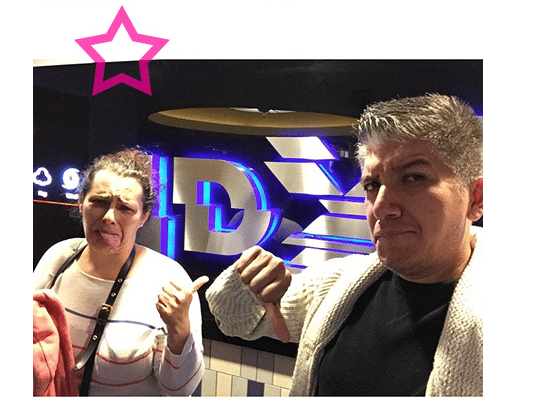 “Interstellar” might not have been available in 3D but it was in 4DX, though not everyone liked it. As of today, 4DX is running 113 auditoriums in 27 countries worldwide including South Korea, China, the United States, Mexico, Russia, Brazil, Japan, Thailand, Indonesia and others. However, it seems that not all were amused by 4D. Many complained about the distraction caused by the physical effects. Zhang Cong, a Chinese tourist visiting Seoul, said she felt dizzy when watching the 4D Interstellar. This reviewer (pictured above) was also not impressed. USA (MI) – Ticket sales are up a whooping 60% since this multiplex switched to luxury seating. heaters are installing tush-friendly recliners as a way to compete for a declining number of customers. They are throwing in restaurant-grade food, alcoholic drinks and even wait-service delivery directly to patrons in their seats. 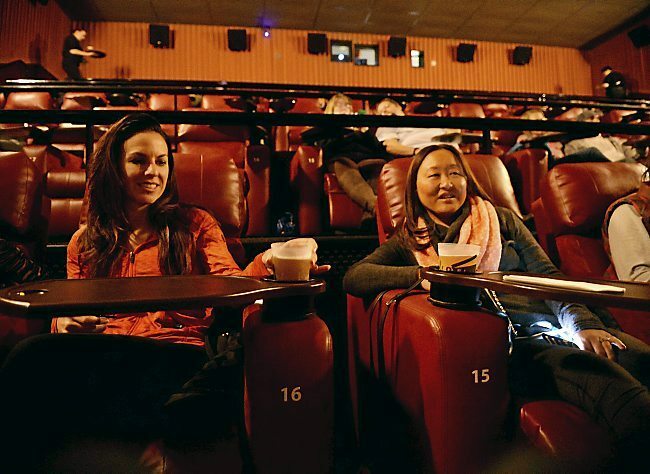 “I am totally impressed,” said Lance Capistrant of Watertown, who had a dinner, beer and a movie recently without leaving his almost-horizontal seat at the Marcus Oakdale Cinema. India – Mukta Arts has ambitious plans for its cinema expansion. 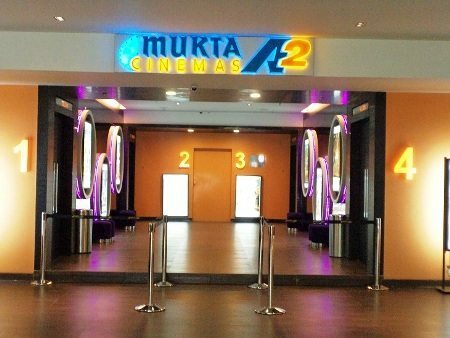 As the movie exhibition business undergoes a consolidation phase, Rahul Puri-led Mukta A2 Cinemas, the exhibition arm of Subhash Ghai’s Mukta Arts, is looking at occupying the mid-level spot, with a screen presence of around 100 screens by the end of the next fiscal. Currently operating 30 screens across 10 properties, the cinema chain will be ramping up its presence in tier-II and tier-III areas. Canada – A name change in store for several Cineplex multiplexes to Scotiabank (Cinéma Banque Scotia in French-speaking Montréal), as part of a naming rights scheme. St. John’s is one of three new locations for the name change, along with theatres in Halifax and Saskatoon. The three new Scotiabank Theatres join cinemas in Vancouver, Edmonton, Calgary, Toronto and Montreal. 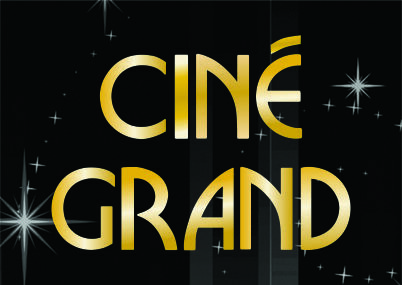 Romania – Indian multiplex operator Cine Grande plans to expand in Eastern Europe. Cuba – In 1962 Cuba had no less than 32 mobile cinemas (Cine-movil). Now the concept is being brought back with digital projection and inflatable screens. 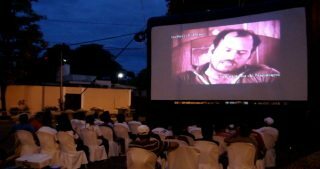 The revolutionary experience of mobile cinema, which brought the cinema to the most remote communities in Cuba half a century, now returns to show the benefits of digital projection . Given the evidence that Cubans are increasingly the magical dark room, the organizers of the 36th International Festival of New Latin American Cinema will neighborhoods to project films suitable for the whole family on an inflatable screen 6×6 meters. Canada – This Dollar Cinema has gone first-run, but I worry for how long given that the photos of the projection booth show nothing but 35mm film. 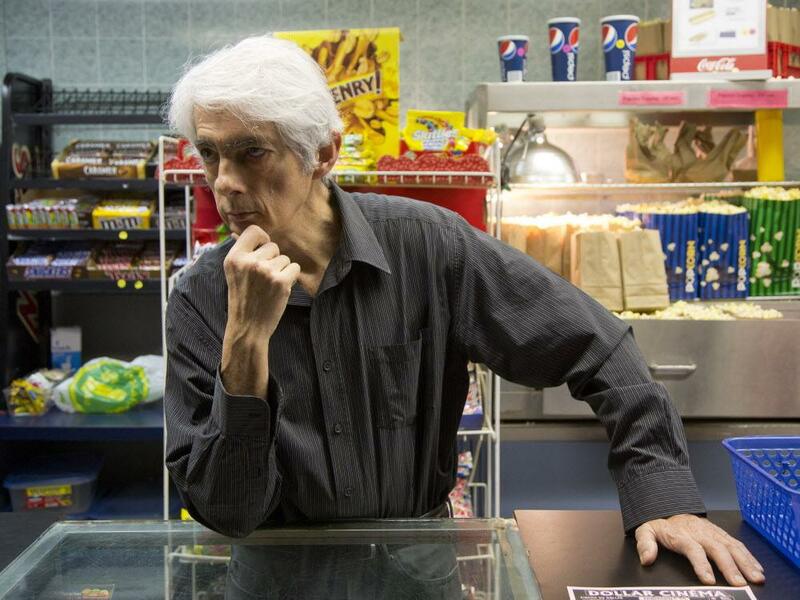 The Dollar Cinema can still cost film buffs a buck or so a flick for second-run films or those offerings at the tail end of their first runs — provided patrons buy a booklet of 20 tickets for $23. Otherwise, the price is $2.85 for admission to these films. But $1 is all that patrons pay for regular-sized soft drinks or bottled water, as well as for small bags of popcorn and candy — considerably less than the price for these items at multiplexes. Germany – The operator of the Berlin Zoo Palast and Astor Lounge is bringing its brand of luxury cinemas to Hannover. For Hans-Joachim Flebbe it is not least a return to his roots when on December 3, the Astor Grand Cinema in Hanover is inaugurated with a grand gala for invited guests. Because after a good five months of intense remodeling opened Germany’s largest premium movies on the site where once Flebbes career at Cinemax began: in the former Cinemax in the Hanoverian Nikolaistraße, the first home of the hamburger chain. 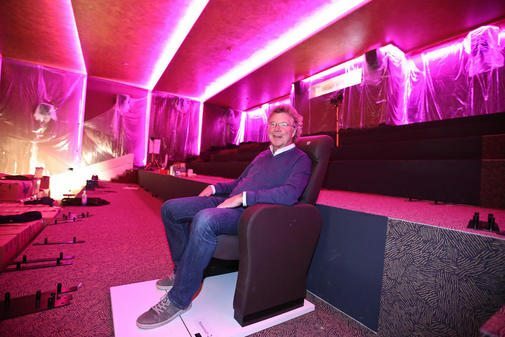 This is Flebbe together with partner Heinz Lochmann in the city of the future in direct competition with his former employer, the Raschplatz there – where Flebbe had already opened a cinema in the late seventies – Operates a house. UK – This cinema is described as the “first decent cinema” the town of St Albans has seen in decades. Germany – The lack of a second fire exit forced the closure of this small cinema. The city of Duisburg has stopped Werkstatt [Workshop] cinema by Volker Emmig in Duissern. A second emergency exit lacking, says the 55-year-old. The master mechanic and movie fan has filed a lawsuit, hoping for the administrative court in Dusseldorf to show anger without further films in his vehicle operation can. UK – Just in time for the Christmas blockbusters Cineworld in Milton Keynes unveils its revamped PLF Superscreen. 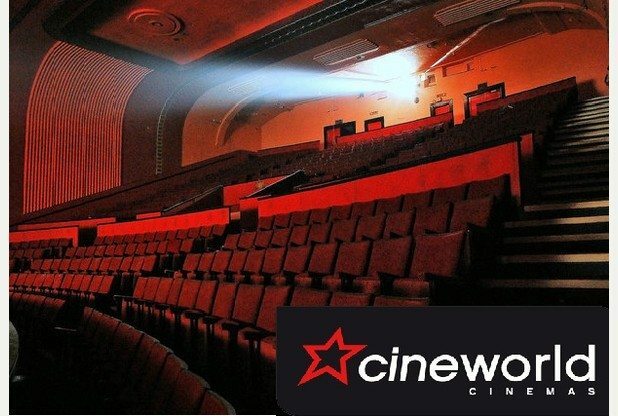 Cineworld has just announced the opening of its brand new Superscreen. The ultimate cinema experience will reveal itself at the Milton Keynes location on December 12th. 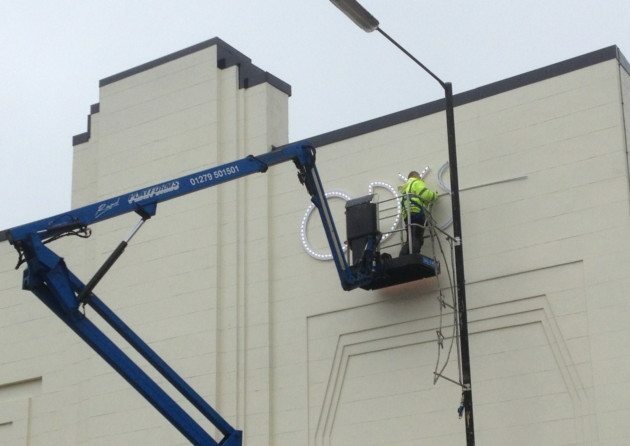 UK – An opening date has now been confirmed for the new Curzon cinema in Sheffield. 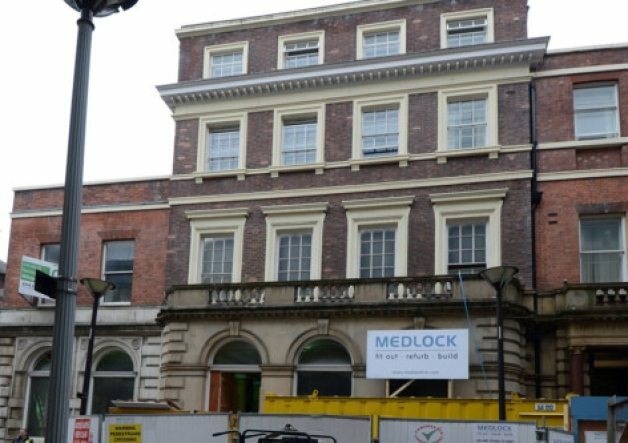 The three-screen Curzon cinema is to open on Friday, January 9, located on George Street on the former site of the Sheffield Banking Company premises. Bosses say between 15 and 20 jobs will be created at the new cinema, which will also include a new cafe and bar. UK – An innovative way to fund a cinema expansion – build flats on top. Let’s see if the Penzance Council approves this scheme. 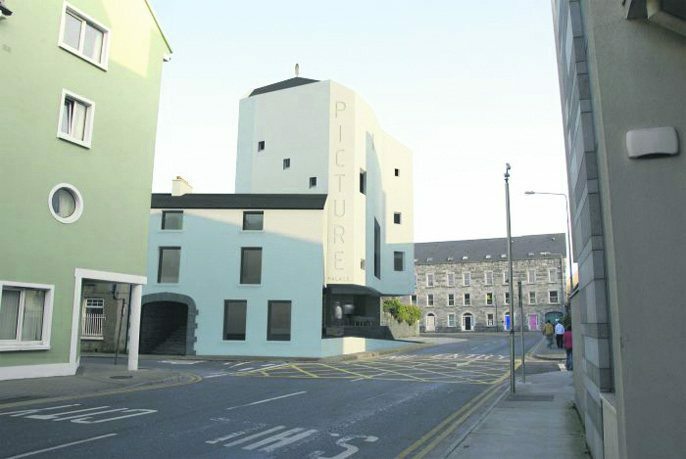 NEW flats and extra cinema screens could secure the future of a Penzance icon. 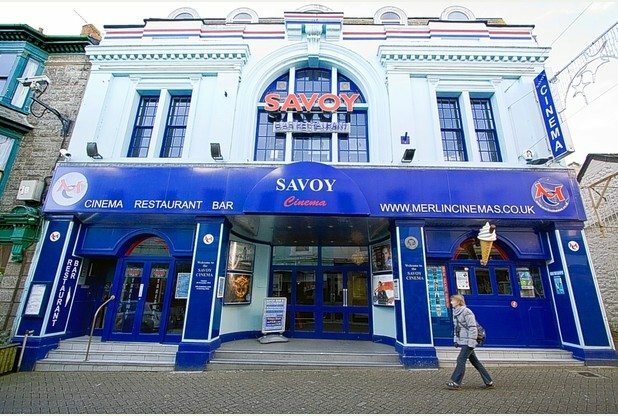 A total of 12 flats could be part of one of the largest development projects ever undertaken by the owners of the Savoy Cinema. 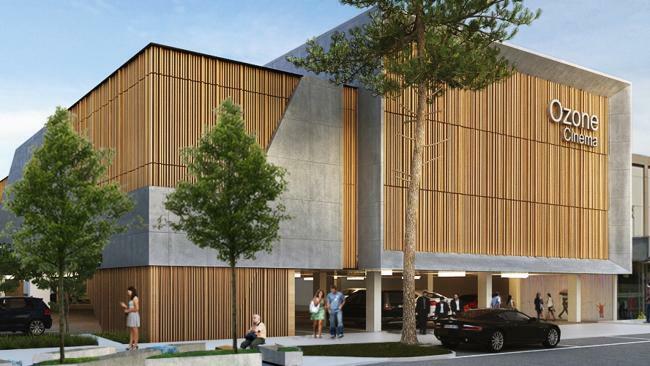 Australia – Construction has started on the Glenelg multiplex with more details revealed. The former WorkSkil building, at 5A and 7 Partridge St, Glenelg, has now been demolished — an early step in Taplin Group’s $17 million development which it plans to open next summer. Last month theadvertiser.com.au revealed Greater Union had won the contract to operate the new cinema. Ireland (Republic) – Yet more delays to this art-house cinema in the Irish Republic. Major concerns about the deliverability of the city’s arthouse cinema, which is delayed by years and over-budget, have been raised again. Fears about Solas’ ability to operate the facility, without public convention, if it ever gets up and running, were also expressed. Another cinema-oriented marriage proposal, but this one not on or in front of the big screen. Plus something other than strikes and worker-management conflict from the Brixton Ritzy for a change. 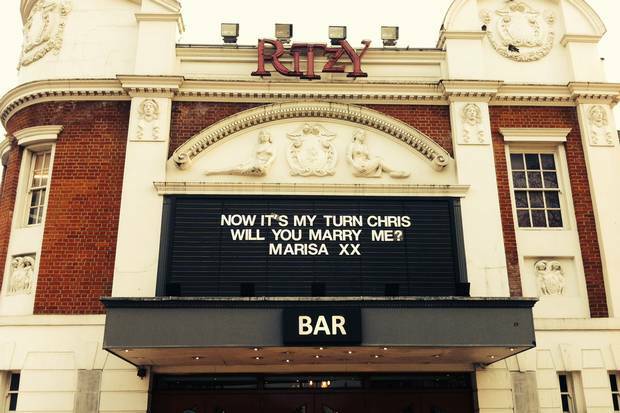 A woman proposed to her girlfriend with a romantic message displayed on the front of a south London cinema. Instead of the usual films and cinema times the proposal was on show for cinema-goers visiting The Ritzy, in Brixton, last Wednesday. A Twitter exchange revealed the woman behind the message after she thanked the cinema for allowing her to post the message.